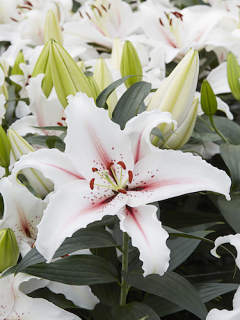 This unusually speckled double oriental lily is a superb white with a lemon-coloured stripe through the centre of each petal decorated with deep red dots. 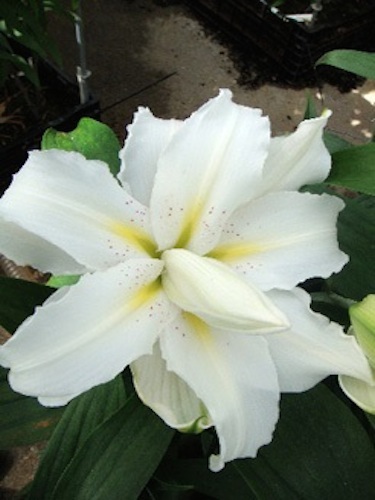 This is a highly-scented, pollen-free double oriental lily and will grow to 150cm high once fully established. 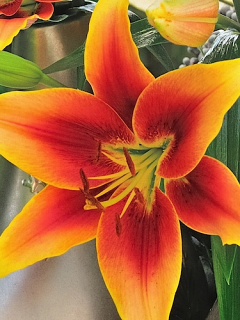 Polka Dot lily is a fabulous addition to Harts Nursery's Double Oriental Lily bulb collection. Double Oriental Lily Bulbs should be planted as soon as possible. Ideally in the Spring but can be planted up until the Autumn. Find a location with partial sun/shade with well-drained soil. 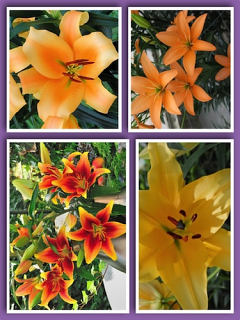 It is best to check the type of soil you have as different lily varieties like different soils as Double Oriental Lilies mainly like Acidic/Ericaceous soils.